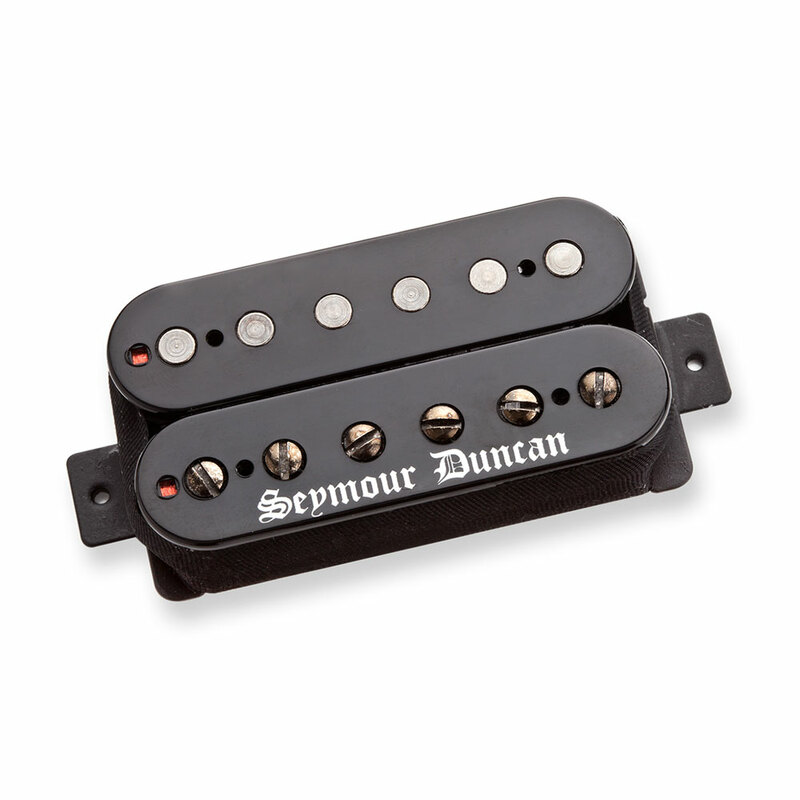 The Seymour Duncan Black Winter Trembucker is a high output bridge pickup built for extreme styles (black metal, death metal etc. ), it uses three large ceramic magnets to ensure maximum output and sustain in all high gain situations. The custom overwound coil design delivers incredible clarity in the mids and highs, while the low end stays controlled and focused. The Black Winter is designed to handle any tuning, no matter how low you go, and its voicing allows for aggressive sounding palm mutes, fluid sounding tremolo picking, and searing lead tones. Pair with the Black Winter neck model for maximum Metal onslaught. The trembucker is their wider spaced (or F spaced) version of the standard Black Winter humbucker to take in to account the wider string spacing used on tremolos.